If you’re just beginning a blog or looking to scale your current one, blogging tools are essential to your productivity. Fortunately, we’ve compiled the ultimate list of blogging tools and websites for successful blogging. This list covers resources for all levels of blogging experience and type. It’s meant to show you some great tools and resources to start your blog, build your following, promote your blog, and measure your success. 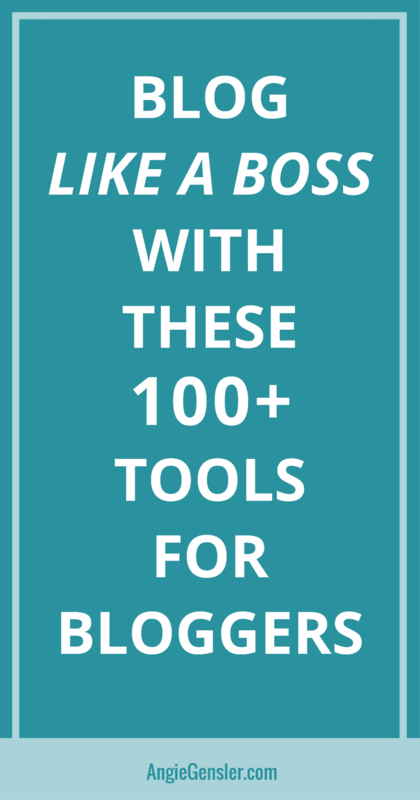 Naturally, it’s not realistic to use all 100+ tools in this list. In categories with a long list of tools, we’ve included a “need help deciding?” section where we provide our top recommendation based on our years of experience. 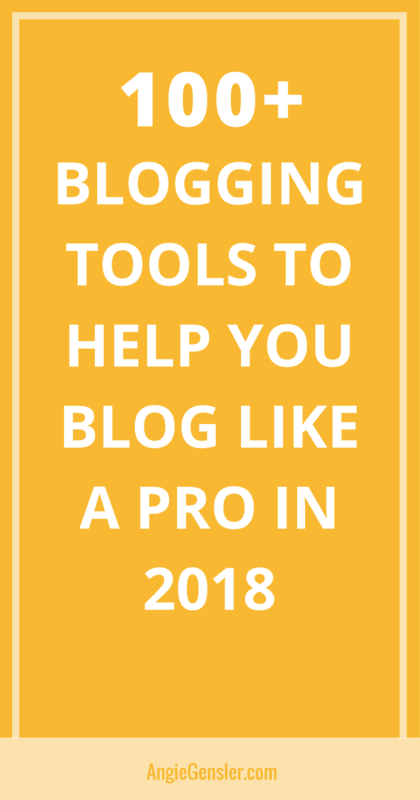 This is particularly helpful if you’re a new blogger and all these tools feel a bit overwhelming. There are several popular hosting companies for bloggers, but Siteground is one of the better offerings. They have 24/7 customer service via phone, chat, or ticketing, high uptime, and an array of plans to suit your blogging needs. For more information on hosting with Siteground, click here. WPEngine – WP Engine provides managed WordPress hosting. They are a more expensive option, but extremely reliable so it’s worth the extra expense if reliability is crucial. BlueHost – Bluehost is one of the largest and most trusted web hosting services powering millions of websites. GoDaddy – GoDaddy is an easy, affordable hosting service. HostGator – HostGator is one of the more affordable options available. We’ve gone through multiple hosting services and Siteground is our favorite. Our websites load the fastest with Siteground and the customer service is above and beyond any other hosting service we’ve worked with. We currently use Divi by Elegant Themes. But if you remember our old look and liked that it was the Avada theme from ThemeForest. 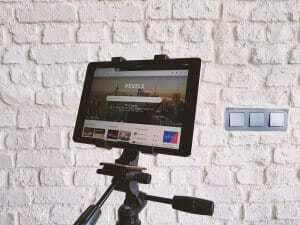 For mobile-friendly WordPress websites, ThemeForest or StudioPress are another way to go. Not only are they easy to use, but they will ensure that your site looks great on any device. If you want to avoid hours of digging through themes to find the perfect one, we recommend you go with Divi. Divi is an excellent theme that’s mobile-friendly, highly customizable and you can find a ton of free support and training resources. Namecheap – Namecheap claims to have the best customer service and they also offer website hosting. GoDaddy – GoDaddy makes registering Domain Names fast, simple, and affordable. It’s difficult to know what’s working if you don’t have a reliable way to measure it. Analytics tools track, measure, and analyze blog data and are crucial to inform your decisions. 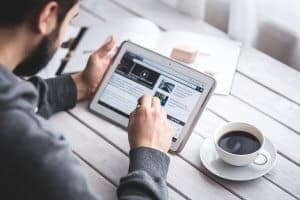 For professional bloggers, this information is critical to keep their blog performing well and ensure their marketing efforts and funds are well-spent. 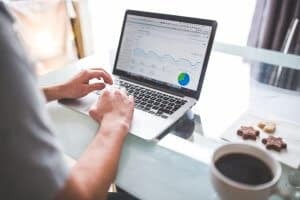 Analytics tools range in cost, but they also offer different features and metrics to help you increase your conversion rates. MonsterInsights – MonsterInsights is a free WordPress plugin that connects your Google Analytics with WordPress. Google Search Console – formerly Google Webmaster Tools, Search Console will track the keywords you are ranking for. Optimizely – Optimizely allows you to test and experiment with every element on your website. Improvely– Improvely tracks conversions and monitors for click fraud. User Testing – User Testing is a lot of fun. You get videos of real people speaking their thoughts as they use your website. Lucky Orange – Lucky Orange will help you identify why site visitors don’t turn into customers. Start with a Google Analytics account and use the MonsterInsights plugin to easily install Google Analytics on your blog. For 90% of bloggers, that’s all you’ll ever need. Plugins are tools to add functionality to your blog, such as sharing, lead capture, analytics, or metrics. There are nearly infinite amounts of plugins available, but too many can slow your load time or cause code conflicts. For that reason, you want to be picky about which plugins you select. AMP – This plugin adds support for the Accelerated Mobile Pages (AMP) Project, which is an an open source initiative that aims to provide mobile optimized content that can load instantly everywhere. Compress Jpeg and PNG images – Make your website faster by optimizing your JPEG and PNG images. This plugin automatically optimizes all your images by integrating with the popular image compression services TinyJPG and TinyPNG. Contact form 7 – Contact Form 7 can manage multiple contact forms, plus you can customize the form and the mail contents flexibly with simple markup. Disqus Comment System – Disqus is the web’s most popular commenting system trusted by millions of publishers to increase reader engagement, grow audience and traffic, and monetize content. Flamingo – Flamingo is a message storage plugin originally created for Contact form 7, which doesn’t store submitted messages. 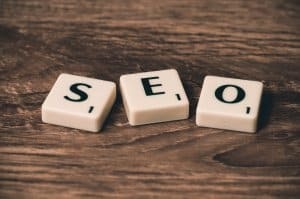 Glue for Yoast SEO and AMP – Google is currently working on the “Accelerated Mobile Pages” or AMP project. The WordPress AMP plugin provides the technical implementation of the AMP specifications. This makes sure that your pages contain valid AMP code. 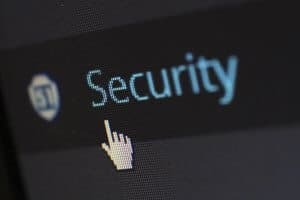 Ithemes Security – iThemes Security (formerly Better WP Security) gives you over 30+ ways to secure and protect your WordPress site. MailMunch – MailMunch allows you to collect emails from your website visitors, which is the most important aspect of internet marketing. ManageWP – ManageWP is a dashboard that helps you save time and nerves by automating your workflow. MonsterInsights – MonsterInsights is a complete Google Analytics for WordPress plugin. Mailerlite Sign Up Forms – If you use MailerLite for your email service provider, this plugin makes it easy to grow your newsletter subscriber list. Pretty Link – Pretty Links enables you to shorten links using your own domain name (as opposed to using tinyurl.com, bit.ly, or any other link shrinking service). Smush Image Compression & Optimization – Resize, optimize and compress all of your images with the incredibly powerful and 100% free WordPress image smusher. Social Warfare – Social Warfare is our favorite social sharing plugin. It helps you get more social media shares and traffic and it’s optimized for Pinterest. W3 Total Cache – W3 Total Cache improves the SEO and user experience of your site by increasing website performance, reducing download times via features like content delivery network (CDN) integration. WP Super Cache – This plugin generates static html files from your dynamic WordPress blog. After a html file is generated your web server will serve that file instead of processing the comparatively heavier and more expensive WordPress PHP scripts. Yoast SEO – This is the best SEO plugin for WordPress. Don’t go nuts and install every plugin above. Stick with a small handful to begin. To learn more about our favorite plugins, read 9 Must-Have (And Free) WordPress Plugins for New Bloggers. This is a great resource to enable social sharing, improve site speed, and tackle the most feared SEO. Once your blog becomes well known, it becomes a target for hackers. Not only is your personal information and your subscribers’ information up for grabs, but it can quickly destroy your brand reputation and trust. Sucuri is expensive, but it’s excellent for protection against viruses and web attacks. Hundreds or thousands of subscribers can be lost from a single attack, so it’s worth the money for peace-of-mind. If you are looking for a more affordable/free option then, iThemes, is your one-stop shop for premium WordPress plugins to help you build & protect your WordPress site. Memberships are one blogging income stream that many blogging businesses take advantage of. Once you build a following, a membership site can give you recurring income in exchange for your subscribers accessing premium content, online courses, digital products, or your blog’s community. There are tons of plugins and software services available to help you gate your content and create a personalized experience for your members. If you want to own all aspects of your membership site and manage it through your own WordPress website, we recommend MemberPress. MemberPress is a premium plugin with an annual fee that integrates with WordPress and allows you to customize your members’ experience. We love MemberPress, but it does require some technical knowledge and coding ability. If that’s not your thing, we recommend Teachable. Teachable is designed specifically to deliver online courses. It has an extremely easy-to-use interface and you can get your courses up-and-running in a day. Teachable does have a recurring monthly fee and some of the plans take a percentage of each transaction. Building and maintaining an email subscriber list is incredibly important for your blog. Building your email list and regularly communicating with subscribers should be a top priority for every blogger. For tips on how to build your email list read: How To Go From 0 – 500 Email Subscribers in 30 Days. To build your list, you need an email service provider and a way to embed sign-up forms and calls-to-action on your website. For an email service provider, Mailerlite is the best tool for new bloggers. You can get started completely free and Mailerlite has a robust offering of features, plans, and automation. We’ve used a wide variety of email service providers, from Mailchimp to HubSpot, and Mailerlite is our number one choice for beginning bloggers. For more advanced bloggers, we recommend ConvertKit. ConvertKit was designed specifically for bloggers and they have designed every single feature with bloggers in mind. The integrations and automations are simple and seamless. You will pay more for ConvertKit, but it’s worth the extra expense if your blog is generating income. To aid in growing your list, you can create and embed opt-in forms through your email service provider or you can use a service like MailMunch. MailMunch offers lead capture forms, popups, top bars, slide boxes, exit monitoring technology with popups, and much more. Like Mailerlite, MailMunch offers different plans and pricing and you can get started for free. The social media aspect of your blog can be very time-consuming, so it’s worth investing in a tool for planning and automation. There are hundreds of tools available and unfortunately, no one tool can do it all. At the very least, we recommend a tool to manage Pinterest and one to manage your other social profiles such as Instagram, Twitter, Facebook, and LinkedIn. One of my most popular posts, How to Schedule Social Media Content Without Spending a Dime, walks you through how to schedule content using completely free tools. The post also has a couple videos showing you how to use a few of the tools listed below. Tailwind – Tailwind is a life saver for Pinterest. You can schedule hundreds of pins in minutes, post at the best times for engagement, and explode your website traffic with Tribes. Tailwind is my secret weapon. Tailwind also has plans to schedule Instagram posts. We love Tailwind for Instagram because of the easy hashtag tool that helps you find the best performing hashtags in your niche. SmarterQueue – SmarterQueue is the most sophisticated social media scheduling tool we’ve found. It’s recycling feature has saved us hours of time and stress. Buffer – Buffer is a very popular social media management tool that offers a free plan and is a great tool to get you started. Hootsuite – Hootsuite also offers a free plan and allows you to track engagement with your various profiles. IFTTT – IFTTT (if this, then that) is the easy, free way to get your apps and devices working together. Zapier – Just like IFTTT, Zapier takes automated tasks between web apps to another level. Planoly – Planoly allows you to schedule out Instagram content and offers a free plan. Planoly is a great place to start if you can’t yet afford Tailwind for Instagram. Bit.ly – Bit.ly allows you to shorten links and track analytics. There a number of tools that keep you organized, on task and efficient. Here are five of our favorite productivity tools. All five have very robust free plans, which is why we love them so much! Asana is an easy-to-use project management tool. It works great as a “to-do” list that you can access from any device, or as a team collaboration tools. It also offers many different formats for your calendar. 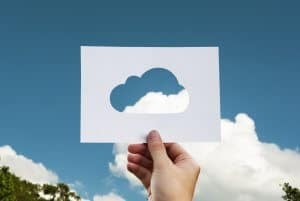 For cloud storage, Google Drive and Dropbox are popular options with user-friendly interfaces and integration. We use both, but prefer Google Drive as it integrates nicely with Gmail and it allows you to quickly and easily access all your content from any device, in any location. Grammar is also important to your blog’s success, and Grammarly is an amazing grammar tool. It’s an in-browser or downloadable editor that catches grammatical errors, suggest alternate words or phrases, and gives you tips and tricks to improve your writing and productivity. Grammarly offers tools for businesses as well, like easy onboarding, billing, and monitoring tools. LastPass is a password management tool that stores and autofills your passwords so you’ll never be locked out of an account again. In addition, LastPass offers a password generation tool for secure passwords. The best part of LastPass is you can install it on multiple devices and access your accounts anywhere. Pexels – Pexels has the best search function and the largest library of photos. Picjumbo – This site has a ton of options and most of the images have a similar aesthetic and filter making it really easy to find a cohesive set of images. Kaboompics – Kaboompics has some beautiful photos, but the search function and display of the photos are not nearly as user-friendly as Pexels. I recommend using Kaboompics to build a library of images you love and can pull from when needed. Gratisography – If your style is a little quirky, then you need to check out Gratisography. All of the photos are a little unique and some are downright strange. NegativeSpace – This site is a visual playground. I adore the unique style of these photos and I wish I could use every single one. Pixlr – Pixlr Editor is a robust browser photo editor, for all your editing needs. It works similar to Photoshop and allows you full control over your images, including layers and effects. TubeBuddy – TubeBuddy is a free browser extension that acts like a keyword research tool for YouTube. If you’re looking to grow a YouTube following, Tubebuddy is a must! Voicebase – VoiceBase will transcribe your audio or video files – allowing you to easily add captions to videos or turn your Podcasts into blog posts. Pictochart – Piktochart is a design app that helps you easily create infographics. No matter how great your posts are, you’ll need to do a bit of promotion to gain traction and build your following. You will also need to share other people’s content on social media. 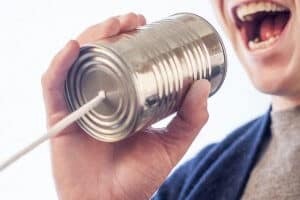 There are many promotional and content marketing tools that can help, which offer everything from digital magazines to community builders to related links. Pinterest – If you’re reading this and don’t understand the power of Pinterest, you need to take my free masterclass, Pinterest Traffic Trifecta. Flipboard – Flipboard allows you to curate and post content and can help you generate traffic to your blog. Feedly – Feedly allows you to compile all the blogs you follow into one place and easily share the content out to your social networks. Triberr – Triberr is a marketing automation suite for influencers and bloggers who want to amplify the reach of their content. Panda – Panda allows you to browse multiple websites at the same time. NewsBlur – NewsBlur is a personal news reader with a large social component. Inoreader – Inoreader allows you to discover content and share it on social media. Affiliate marketing is the most common way for bloggers to dip their toes into blogging income. This type of marketing gives you money for recommending products or services you already use, which are relevant to your blog. There are many programs and networks to choose from, and all you have to do is generate a custom link and insert it into your post. To learn nine more ways to make money blogging check out: 10 Ways to Make Money Blogging. These tools will allow you to find the best performing topics and help you identify your next blog post. Inbound.org is a community-driven site that offers plenty of inbound marketing content to discover best practices and help your marketing efforts. BuzzStream is a bloggers’ outreach tool for promotion, list building, social influencer research and evaluation, email research, link or domain extraction, and link building. This tool is incredibly helpful for bloggers and marketers looking to scale. Sumo formerly (Sumo Me) is another research tool that offers content analytics, so you can prepare your posts and grow traffic. There are many tools available, including list builders, popups, CTAs, share buttons, smart bars, and much more. There’s also an autopilot tool for traffic, subscriptions, and shares. Buzz Sumo – BuzzSumo has to be the most important tool I use for my content marketing and SEO campaigns. BuzzSumo allows me to quickly identify what topics are performing well. Keyword research allows you to find high-volume keywords that will help your site rank, and it’s one of the highest-return search-engine optimization (SEO) activities you can do. Keyword research tools help you discover which keywords to use for targeting, as well as give you inspiration for blog topics. Google Keyword Planner – This is the OG of keyword research tools. Keyword Planner is a keyword research tool that allows you to find the right keywords to target for display ads, search ads, video ads, and apps. SEMRUSH – SEMrush is a powerful and versatile competitive intelligence suite for online marketing, from SEO and PPC to social media and video advertising research. LongTailPro – Long Tail Pro is the best long tail keyword research software on the market. If you choose to offer webinars for your blog audience, there are several tools that help you ensure they are seamless and reliable. Depending on your sales and subscriber size, Zoom, Meeting Burner, Any Meeting, and GoToWebinar are all great options. While the former is for smaller groups or infrequent webinars, GoToWebinar is a subscription-based service that can handle large webinars with few technical problems. Another well-known and free tool is OBS Studio. OBS Studio allows you create an overlay for Facebook Live videos – making your videos look more professional. When you’re trying to manage your blog, you may need outside help for web-design, content, virtual assistants, or one-off work like video introductions, reviews, or likes and shares. Media kits are used for booking sponsored content. An effective kit will show potential advertisers your professionalism and the benefits of working with you. Media kits are available on Creative Market and Etsy and should include your blog biography, contact information, statistics, and the collaboration or sponsorship opportunities you offer. 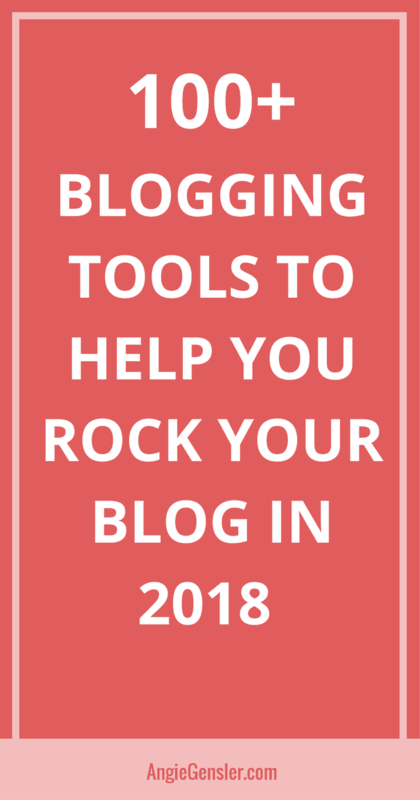 Depending on your blogging purpose and needs, not all of these tools will be right for you. 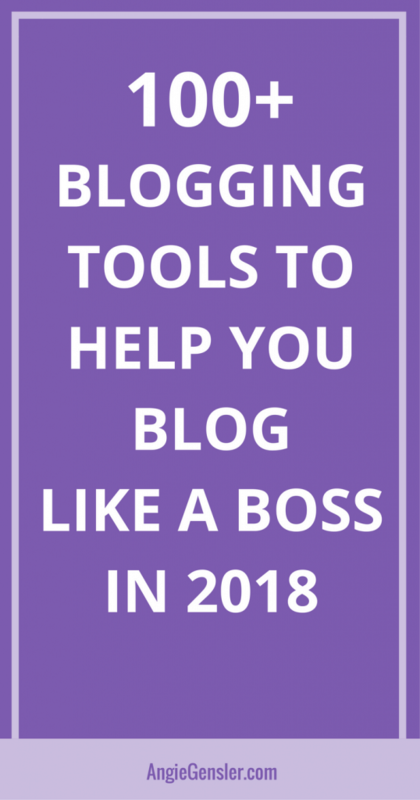 This list is meant to show you some great tools and resources to start your blog, build your following, promote your blog, and measure your success, but not every tool is necessary. Find the tools that work best for you, and keep experimenting until you figure out what works. Naturally, this list will evolve, as will your blog and blogging needs, so it’s important to keep learning and discovering what’s out there to help bloggers manage their sites and enhance their user experience.